KDO Youth Forum, Hubli to celebrate Uttaryan Kite festival. KDO Youth Forum , Hubli is all set to celebrate one of the most celebrated festivals of Gujarat,, UTTARYAN ( The festival of kites ). The change in the direction of winds on Makar Sankranti is marked by thousands of colourful kites of all patterns and dimensions which dot the blue sky. 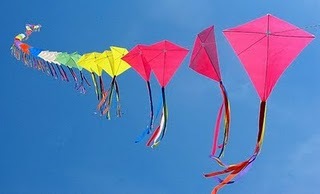 The festival lures expert kite-makers and fliers not only from major cities of India but also from around the world. Its Been informed by the youth forum that the festival will be held on 16th of January, 2011. The festival would began at 3:00p.m. and would end by 6:00 p.m. at St, Michel's School Ground.